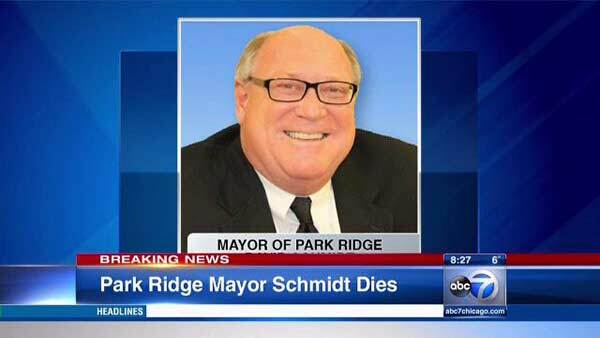 PARK RIDGE, Ill. (WLS) -- A visitation will be held Sunday afternoon for David Schmidt, a suburban mayor who died unexpectedly this past week. Schmidt was the mayor of Park Ridge. He passed away Wednesday after a sudden illness. The 57-year-old mayor was serving his second term. Visitation is from 2-8 p.m. at the Cumberland Chapel in Norridge.